The climax of an eight-part series of hardboiled crime novels by a former detective who writes under a pseudonym to protect his identity. Detective Miko Syrový leaves the bustle of the city to relax in his home village, where he plans to spend a few quiet days with his young daughter. However, as soon as he arrives he is faced with a suspicious death which the local police have been too quick to dismiss as a mere accident. Miko starts to ask awkward questions, cracks begin to show in the rural idyll and evidence comes to light which casts more doubts and question marks upon the case. When the façade finally comes tumbling down, Miko realizes too late that this time his own life is on the line. Martin Goffa (b. 1973), crime writer. Joined the Czech Police in the mid-1990s. He started off as an officer on the beat and then spent most of his career as a detective in the crime squad. He left the police force after fifteen years and is now an entrepreneur and writer. 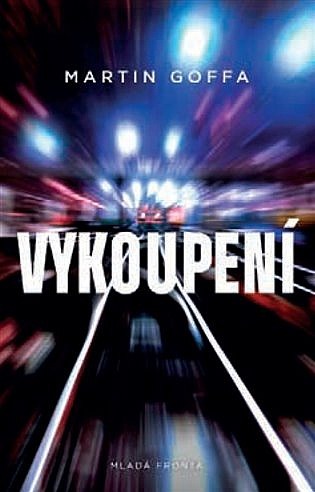 He is the author of the successful eight-part series featuring the detective Miko Syrový, which includes Vykoupení (Redemption, 2018), the “torn novel” Rémi (2018) and the crime stories Vánoční zpověď (A Christmas Confession, 2015). He writes under a pseudonym.